Salads don’t have to mean sacrifice with this bunch of mouthwatering, flavor-packed recipes. Plus, they’re each filling enough to make into a main dish. You won’t need to fish for compliments when you serve this main-dish salad that’s packed with protein, healthy fats, and fiber. They’ll be begging for the recipe before the meal is over…. 1 – Line a 12 – inch platter with the shredded lettuce. In a medium bowl stir together black beans, sweet pepper, and chilie peppers. Spoon bean mixture over lettuce, leaving a border of lettuce. Spoon sour cream over the bean mixture; gently spread into a smooth layer, leaving a border of bean mixture. 2 – Drain excess liquid from salsa. Spoon the salsa over the sour cream layer, leaving a border of sour cream. Sprinkle cheese over salsa. Then top with the olives. Cover and chill for up to 6 hours. Serve with your favorite tortilla chips. Looking for a different side to along with your meal? Here’s one that’s a healthy one from the PBS web site, Curried Quinoa Salad. I left the link at the end of the post. Check out all their recipes while there. Thoroughly rinse the quinoa in a wire strainer using your hand to agitate the quinoa to release all the saponin on the surface. Drain the quinoa well and transfer it to a pot. Add the water and bring the pot to a boil. Turn down the heat to maintain a gentle simmer and cover with a lid. Cook for 15 minutes or until there’s no water left in the pan and the quinoa is tender. Meanwhile, add the yogurt, olive oil, lemon juice, curry powder, salt and black pepper to a bowl and whisk to combine. When the quinoa is cooked, transfer it to a bowl and add the yogurt dressing while the quinoa is still hot. Stir until all the dressing is absorbed and let the salad cool. When the quinoa has cooled to room temperature, add the parsley, cranberries, pine nuts and scallions. Stir to combine and serve, or cover and refrigerate until you are ready to serve. The rains and storms finally ended, we ended up with over 2″ of rain. We avoided any storm damage like some of the area had. Had to go to Walmart and pick up several items. It just still amazes me on Walmarts prices compared to Kroger! A box of Bigelow Decaf Green Tea at Walmart $1.28 – Kroger $1.98, Tide Detergent Walmart $11.49 – Kroger $12.39, Ball Park Turkey Franks, Fisher Nuts, Del Monte Products, it all keeps adding up. Look before you buy! 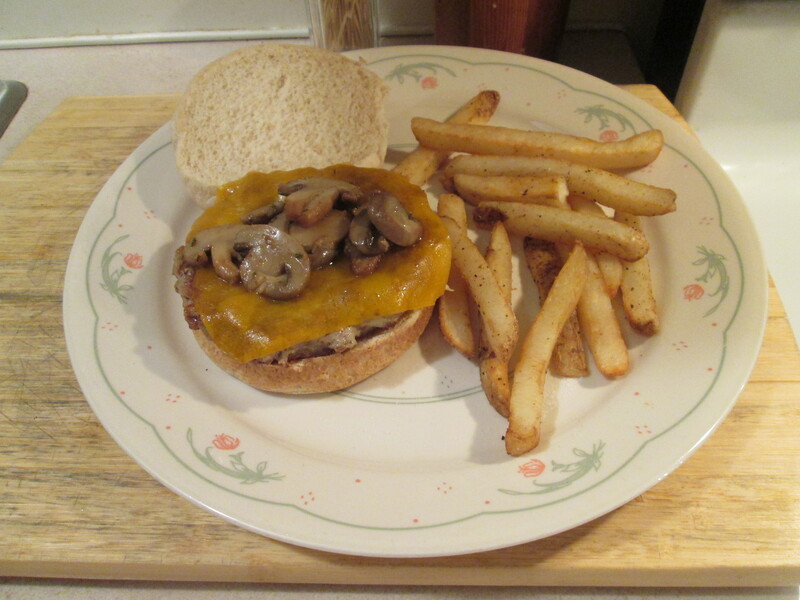 For dinner tonight I prepared Mushroom and Sharp Cheddar Turkey Burgers w/ Baked Fries for everyone. Another beautiful day out, just a tad warmer. I wasn’t able to get out and enjoy much of it though I had a computer glitch that took a while to correct. For dinner tonight I prepared a Fried Seasoned Haddock w/ Whole Grain Medley – Quinoa and Brown Rice and Green Lettuce and Radish Salad. I had purchased a couple of fillets of Haddock a couple of days ago and had already cleaned, cut them into smaller pieces, and froze them. I took one package out and let it thaw overnight in the fridge. To prepare them I seasoned them with some Sea Salt and put them in a sealable plastic bag along with some Zatarain’s Lemon Pepper Breading Mix. Shook until they were well coated on all sides. Removed from the bag, shook off the excess Breading Mix and pan fried them in Canola Oil. Fried them about 3 minutes per side till it had that Golden Brown Crust on both sides. As usual the Haddock was delicious! The Zatarain’s Breading Mix is hard to beat for any Fish or Seafood. 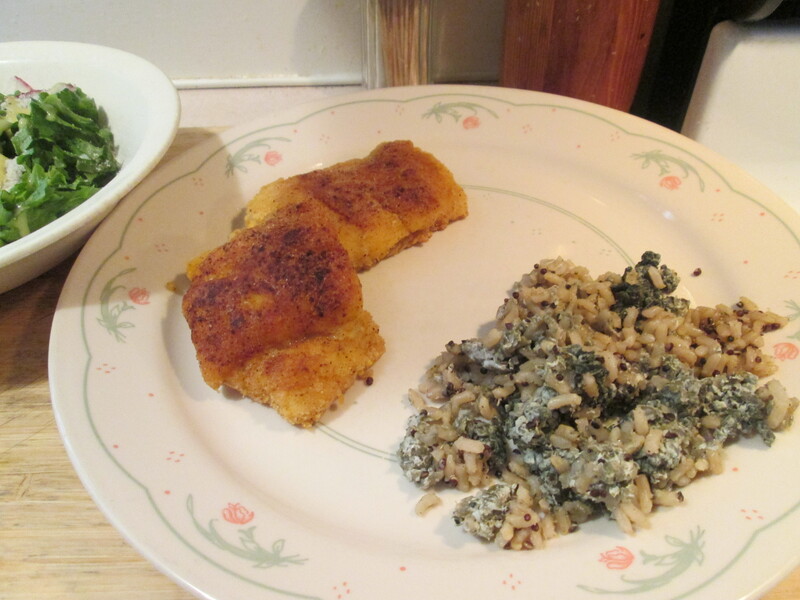 To go with the Haddock I heated up some Uncle Ben‘s Whole Grain Medley Brown Rice and Quinoa with Garlic. The Uncle Ben’s Ready Rice is one of the best things that Uncle Ben’s done with Rice! It comes in a microwavable bag. Just microwave it according to the bag instructions and it’s hot and ready. The Quinoa and Brown Rice is my favorite. I also made another Salad using the Green Lettuce I had used the other night. With the Lettuce I added some sliced Radishes, fresh grated Parm Cheese, and topped with the Ken’s Steakhouse Light Options Sweet Vandalia Onion Dressing. Still suffer from upset stomach when eating green leaf vegetables but I love salads, so it’s worth the upset stomach! For dessert later a 100 Calorie Bag of Jolly Time Pop Corn. The rice that’s always ready to enjoy. Our Roasted Garlic Medley combines whole grain brown rice with red and black quinoa. It is infused with the delicious taste and aroma of roasted garlic and it’s ready to enjoy in just 90 seconds. Plus, it delivers 100% whole grains and meets the full daily requirement of whole grains in just one serving! The microwaveable pouch also eliminates prep and cleanup. Cooking time for 2 pouches – 2 ½ minutes. Microwave times may vary. Take care when handling and opening the hot pouch. Refrigerate unused portion. Gently squeeze the sides of the pouch to break apart the rice, and pour contents into a skillet. Add 2 Tbsp. of water and heat. Another gorgeous Fall like day around the neighborhood today! 39 degrees this morning and a high around 68 with sunshine and blue skies above! Out riding the four-wheel for a while and doing some outside cleaning. For dinner tonight a Pulled Buffalo BBQ Sandwich w/ Green Leaf Lettuce and Radish Salad. A light and heathy dinner tonight. I used Wild Idea Buffalo Pulled Buffalo, a 1 lb. package. 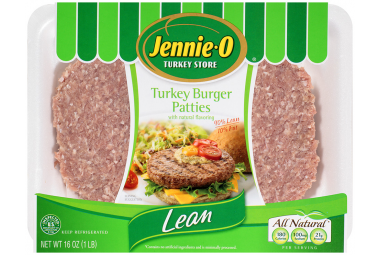 A great item to have in the freezer, just thaw and heat it up! After heating it up I served it on a Healthy Life Whole Grain Bun and topped it with JB’s Fat Boy Chipotle BBQ Sauce. 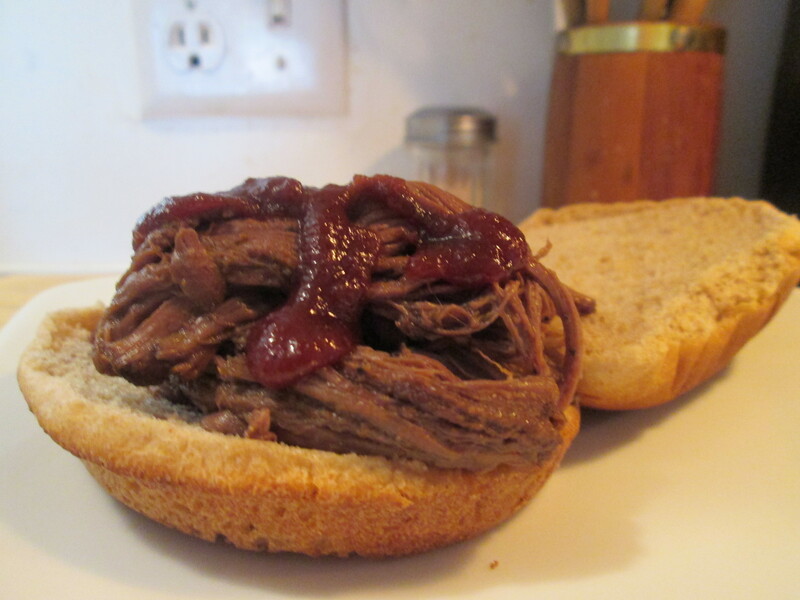 I love BBQ Sandwich’s but using Pulled Buffalo makes that much more delicious! The Pulled Buffalo is so moist and flavorful, not to mention healthier than Beef. For a side to go with my Sandwich I went this morning and bought some fresh Green Lettuce and Radishes. I made a Green Lettuce and Radish Salad, adding a sprinkle of fresh grated Parmesan Cheese, sliced Pepadews, J and D’s Bacon Croutons, and topped with Ken’s Light Options Sweet Vandalia Onion Dressing. It’s been a while since I’ve had a Salad. For some reason it’s hard for me to digest green vegetables and later will give me an upset stomach. But I miss having a Salad so it was worth it. For dessert later a bowl of Del Monte No Sugar Added Peach Chunks. Ken’s Steak House Light Options Sweet Vidalia Onion Vinaigrette Dressing has 50% less fat and 33% fewer calories than regular dressing. Distilled Vinegar, Water, Sugar, Vegetable Oil (Soybean And/Or Canola), Vidalia Onion 5.45%, Cider Vinegar, Extra Virgin Olive Oil, Contains Less Than 2% of: Omega 3 [Fish Oil And Fish Gelatin (Contains: Tilapia, Sardine And Anchovy)], Honey, Spice, Salt, Onion*, Xanthan Gum, Sodium Alginate, Potassium Sorbate, Sodium Benzoate And Calcium Disodium Edta As Preservatives, Caramel Color, Turmeric, Yellow #5. *Dried. Low calorie, low carb, fresh, and delicious. Enjoy! Sauté onions in oil until crisp-tender in medium skillet; remove from heat and cool until warm. Stir vinegar, red pepper, parsley, garlic, Equal® Spoonful™ , salt and pepper into onions. Pour onion mixture over combined beans in bowl; mix well. Garnish with pepper rings. Another good one from Diabetic Living On Line web site, it’s all about the salads! I left the link to all these great recipe ideas at the end of the post. Forget skimpy salads that leave you feeling hungry. 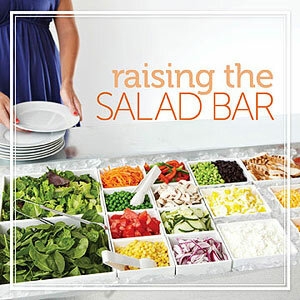 We have the best salad tips, plus yummy recipes that are loaded with all your favorite fixings. Healthy summer meals just got easier! Chick fil-A salads are getting healthier. At least theoretically. 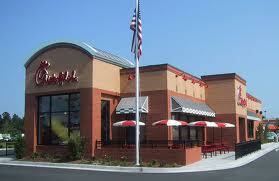 Chick fil-A is also revamping its salad dressings and its side salad. In addition, the Atlanta-based chain will introduce a new, low-calorie Grilled Cool Chicken Wrap. The company for the first time will post calorie counts on menus at its 1,700 stores and will begin offering behind-the-counter tours of kitchens to curious customers. The changes are designed to broaden Chick fil-A’s “appeal to the crucial Millennial market,” according to USA Today’s Bruce Horovitz, who first reported on them on Tuesday. Some young people soured on the chain last year after its 60-year-old president Dan Cathy made comments about marriage rights that many interpreted as homophobic. Sales have grown in the wake of the controversy, but the chain is nonetheless making an appeal to liberal chicken lovers. Healthy menu items is a tried-and-true PR tactic for fast food chains, so there’s a good chance the new salad menu will improve Chick fil-A’s standing among nutrition-minded consumers. That said, it’s not clear that these new salads, which retail for $6.79 and up, are much healthier than the old ones. They contain from 180 to 430 calories without dressing, only a hair less than the 220 to 450 calories on the menu right now. But if the new salads taste fresher and more interesting than the old ones, more people may choose to buy them instead of sandwiches and (oh-so-delicious) waffle fries. That would be a likely be win for consumer health. 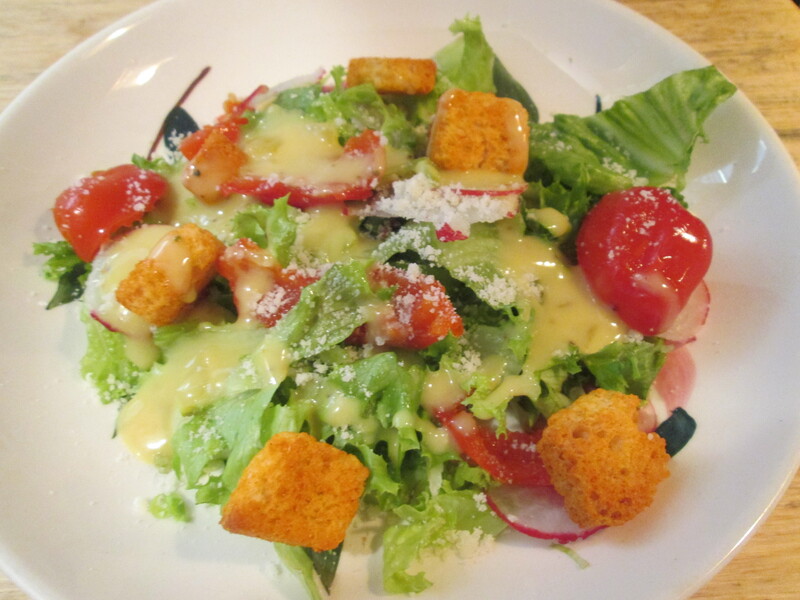 The Diabetic Living On Line Tip of the week is all about the Salad Dressings! I left the web link so you can read the entire article. By Jessie Shafer and Elizabeth Burt, R.D., L.D. Want to find a salad dressing that’s both delicious and good for you? Try one of our 18 salad dressing finalists or winners. We conducted blind taste panels with more than 75 people, including people with diabetes, and awarded the top-rated salad dressings our Diabetic Living What to Eat seal of approval. Salad dressings can turn a mundane bowl of lettuce into a flavorful dish. But a drizzle of some dressings can load down a salad with extra fat and sodium. So how do you find a dressing that’s tasty and nutritious? Diabetic Living’s staff took on the challenge to taste and rate any dressing that met our nutritional requirements (below). More than 75 people, including PWDs, tasted the dressings in a series of blind taste panels. The top dressings were awarded the Diabetic Living What to Eat seal of approval.